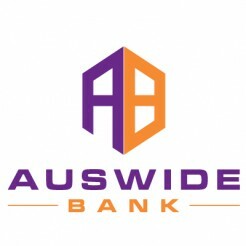 ?Auswide Bank is helping Australians achieve home ownership, create wealth, access banking and financial services that make their life easier and help them to protect their assets and loved ones from financial loss or hardship. They provide an extensive range of personal and business banking products and services issued directly or in partnership with leading service providers via branches, strategic relationships and online and digital channels. Even though they are a smaller bank, they believe the small things make us different and can make a big difference for customers and communities.